Photo by Jacqueline Bennett Connecticut Style Hot Lobster Roll from Lenny & Joe’s in Madison, CT.
September 25 was National Lobster Day. If ever there were a sea creature turned menu item worthy of having its own day – it is the delectably tasty lobster! On this day of lobster celebration I have a lobster “tale” to share. Back in the day when University of Connecticut football played Yale, the Ivy League heavyweight always had the game scheduled at the Yale Bowl in New Haven which is about an hour and a half drive from UConn’s main campus in rural Storrs. Every September a group of us made the annual pilgrimage down to “the Bowl” to support the Huskies then capped the return ride off with a stop at Valle’s Steak House on Brainard Road just outside downtown Hartford. It was here that it happened. Despite being a whole lobster novice, I picked a football road trip to try one. Valle’s was a lovely place. However, let me set the scene. The tables were close together making dining a bit congested. As well, in its heyday Valle’s was perpetually crowded with customers as it was on this fateful autumn late afternoon. When my lobster meal arrived I attempted to follow verbal eating instructions from a friend as to how to attack the bright red crutacean in front of me. Twisting and next giving a yank to a claw, my face soon matched that of my meal. The claw took flight across the packed dining room. YIKES! The moral of the story – ‘you can take the Storrs girl out the country but you can’t take the country out of the Storrs girl’. 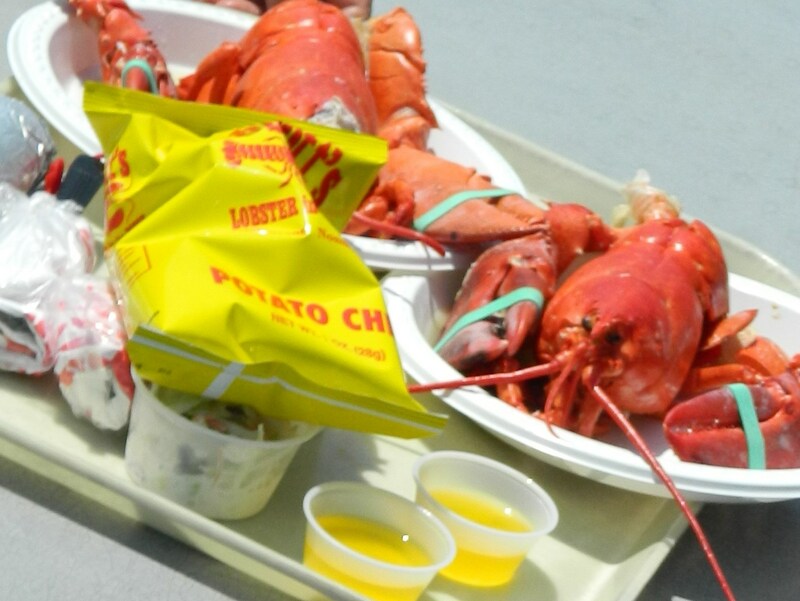 Today lobster is considered a delicacy. Lobster has so much of a high society image that Greg Elwell wrote in the Oklahoma Gazette, “Lobster is fancy. If you imagine a lobster talking it probably has a British accent.” Actually, I’d imagine it with a New England brogue. Nonetheless, lobster was not always associated with rich palates. (I just like it). In fact, quite the opposite. During Colonial times there was an abundance of lobster on the East Coast and it was seen as poor man’s food. Since my unfortunate mishap, I stick to “Lazy Man Lobster” which is delivered already cracked. I used to adore it served on the ole’ Lobster Boat in Yarmouth on Cape Cod. 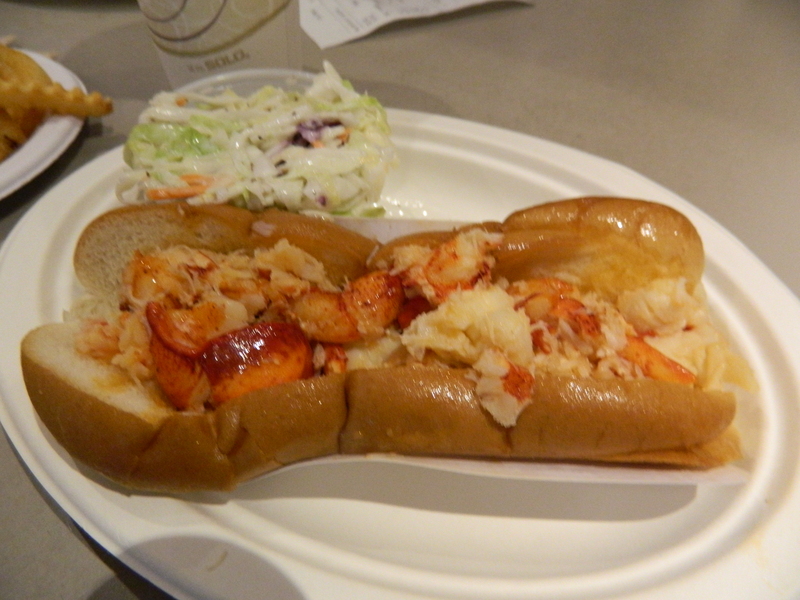 Perhaps it’s the loyal Nutmegger in me but most recently my affection has turned to what is known as Connecticut Style Lobster – that being hot lobster roll said to have been created in Milford. One hot lobster roll that is hard to beat is served not far from Milford, in nearby Madison at Lenny & Joe’s. What’s also great about the scrumptious delight is that it comes with zero sodium, according to online nutritional data counts. Still wild about Harry’s Place Lobster Bisque in Colchester , Connecticut. 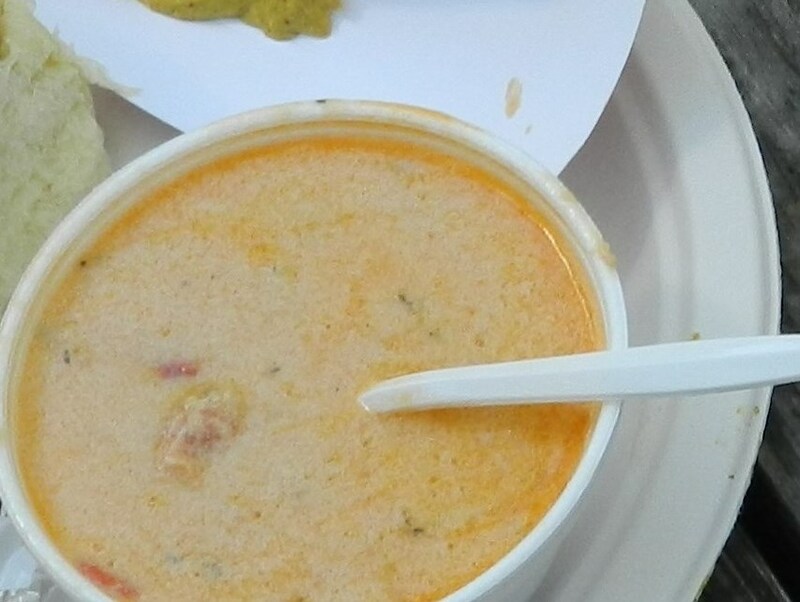 Another preference of mine is Lobster Bisque. Over the summer I discovered a marvelous rendition of this New England favorite at Harry’s Place in Colchester. Melt in your mouth “wild about Harry’s” flavor and filled with chucks of lobster meat. Lobster dinners at Abbot’s Noank, CT. Despite my college days mishap I have not ruled out ordering a whole lobster in the future. They surely look inviting down at Abbot’s in Noank. But next time – I’ll wear a helmet!